Some of you may know from Letters from Lowestoft in the WW2 section of this site that I had a great grandfather, A. J. Turner. In 1916 he was living at 137 London Road South in south Lowestoft and wrote of his experience of the bombardment by ships of the German High Seas Fleet in April 1916, which he then sent to his young brother Francis who was living in London. A copy of that account has come back from that branch of the Turner family via his descendants, my cousins, for which I am very grateful. A brief narrative account of the events and the background of that day was also published by a local bookseller, A. Crisp of 22 & 121 High Street and The Bridge, Lowestoft, illustrated with twelve mounted printed plates of the damage to local property and local photographer, Herbert Jenkins, also produced a series of photographic postcards of the damage. 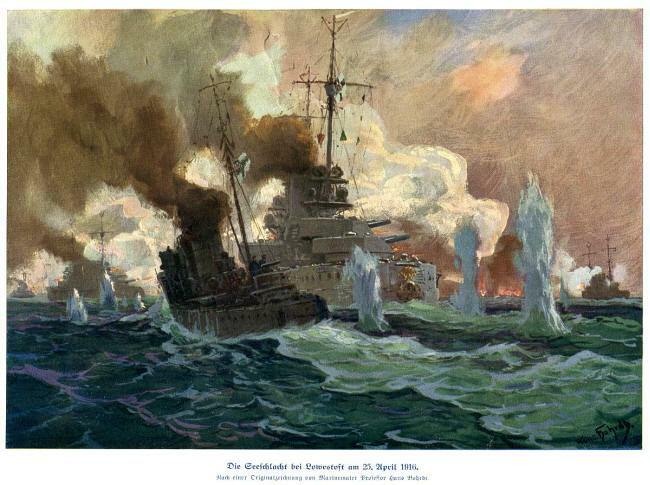 A recent acquisition (January 2018) is a print of a painting by Hans Bohrdt found in the hands of a German dealer entitled 'The Battle of Lowestoft 25th April 1916', reproduced below. 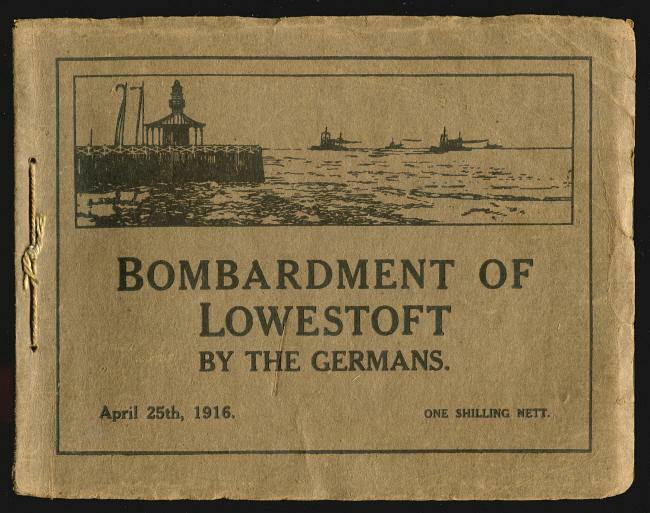 Not sure how German historical records record 'The Battle of Lowestoft' but it would be interesting to know. From our point of view it was not so much a battle more a bombardment!